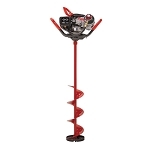 Welcome to the new generation of high-compression, propane-powered ice augers. As the innovators of the first ice auger engine designed specifically to harness the full potential of propane, Eskimo had a great platform to build from. They paired the high-compression engine with a new high-speed, all-metal transmission to achieve faster revolutions. The new Rocket Auger features a cast bottom resulting in smoother cutting and breakthrough. 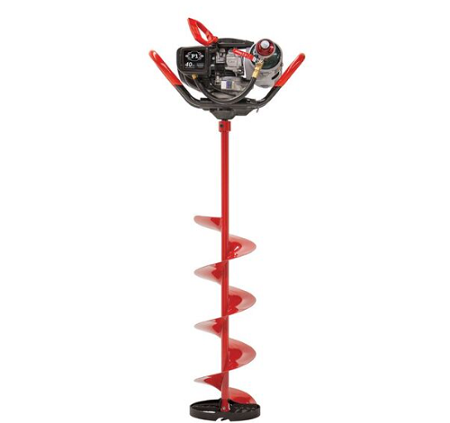 At only 28 lbs, the P1 is the lightest 10” propane power auger on the market. Ardisam warrants to the retail purchaser that this small, off-road engine was designed, built and equipped to conform at the time of initial sale to all applicable regulations of the U.S. Environmental Protection Agency (EPA).